After “How To Improve Your Website’s UX With Doors Diagram” you learned what Doors Diagram is and how to use it. This is the second part of the topic explaining why to use this design tool, covering this approach in more detail and showing some UX research while implementing Doors Diagram on Medium.com. Why is Doors Diagram Helpful? As a design tool, Doors Diagram helps to faster and easier determine what obstacles are for users on their way to successfully navigate a website design. It illustrates the process of user navigation indicating a starting point, obstacles and a final goal as well as counting all the necessary movements. Sometimes it is hard to define which obstacle a problem refers to. Blurred boundaries are not that critical since the main purpose of finding out obstacles is to come up with a solution. To identify whether an element is a locked door or a door that has misleading information is not an end in itself. It is much more important to know that such an odd door exists and how to repair it. The evident outcomes of drawing Doors Diagram are uncovered ways to remove obstacles. In most cases locked doors are solved by restoring elements’ functions, misleading information — by re-balancing elements and their functions, invisible doors — by placing elements properly, and deadends — by placing an element with required functions that allow further navigation toward a final goal. There are illustrations of all four types of obstacles and how they could be cleared below by implementing Doors Diagram to Medium, a blog-publishing platform. Here we have search results containing three people, three collections and 10 stories. 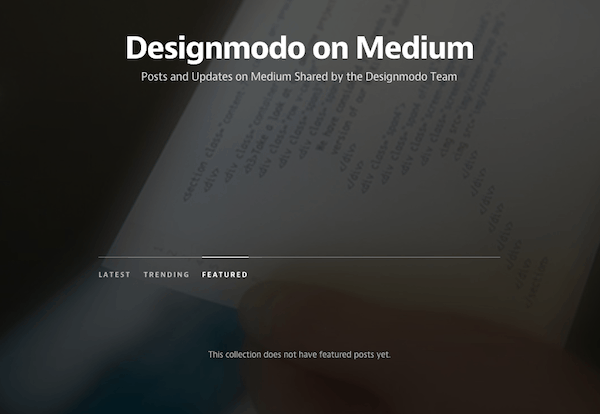 I barely believe that the entire Medium library of posts contains only 10 posts on this topic. At least a quick Google search proves there are many more than 10. So a common user scenario implies there’s an option to view more search results at the end of the search page. But this element is absent. 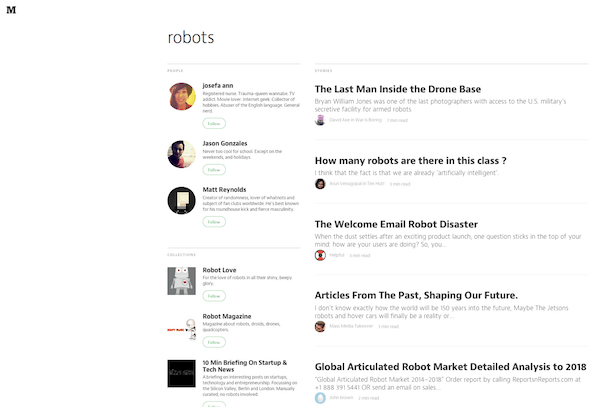 This direction is locked and the user needs to find another way to get more stories on robots (i.e. go into collections or read one suggested story to read what next). What to improve: Put a button or any other element that will navigate users further and let them load more search results. Medium’s notification bar shows elements that act inappropriately. There are different types of notifications: Someone wrote a story, someone recommended your story, someone recommended a story to you and said something when recommending, someone left a note on your story and others. Clicking on notifications like “someone wrote a story” and “someone recommended your story” leads on this story. And clicking on “someone left a note on your story” leads directly to the note (comment) while clicking on “someone recommended you story and said something” doesn’t lead to the note. It leads the story. Though it clearly says that there was a note left by other user. So the user assumes to click and read exactly this text, but fails. The note is visible when hovering over the commenter avatar. Nevertheless if there were other recommendations and that comments were invisible due to the date range there’s no chance to view it on the story page. Not that crucial, but still misleading. The user makes an odd movement with no results. What to improve: First, view all recommenders, especially those that said something. To clear the obstacle,a page could show the note like a pop-up sign in form. Meidum’s “TOP 100” page shows an element that is not reachable, still there are ways for users to reach destinations, but with extra movements. Consider the user’s final goal is to find something interesting to read. A starting point will be the “TOP 100” page. There are stories listed from 1 to 100 that are ranked to be best (most read or recommended or manually picked by editors). 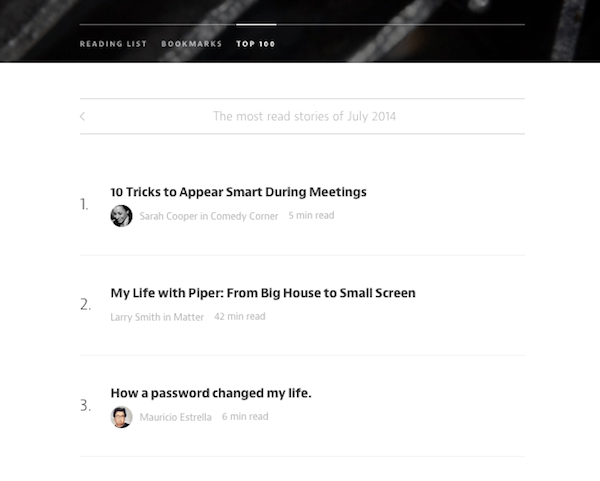 The easiest and shortest way for the user is to scroll and find a desired story title. Unfortunately nothing catching is found first. The user scrolls and reads other titles, then presses Ctrl-F (or Cmd-F) to search for keywords. In the end, the user finds nothing interesting and the list ends. Where to go next? A nice solution would be to navigate users further from this point and to suggest next or previous months after the last title. Right there are no further options. The user can return to the top of the page and swipe. This is a one more door (scroll up or a hot key combination) to move into. In other words, there is a door that lead to other months, but it’s hidden and users can’t find it to keep moving toward a final goal. This Doors Diagram’s corridor could be an uncertain cycle, which either leads to a final goal (the user has finally found the right story) or never leads with a deadend (the user can’t find it while swiping TOP 100 pages from month to month), but let’s assume that in a month or two of pages the user reaches the destination. 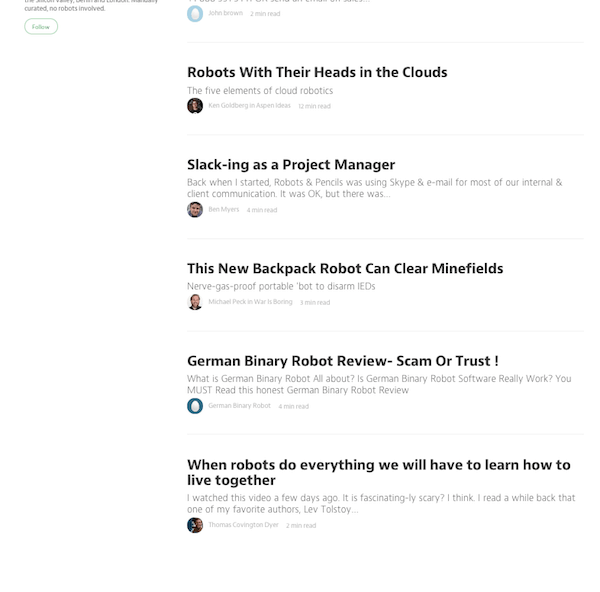 What to improve: Place the same header with previous/next buttons on the top of the page, or a suggestion to read or buttons to keep users on the journey. 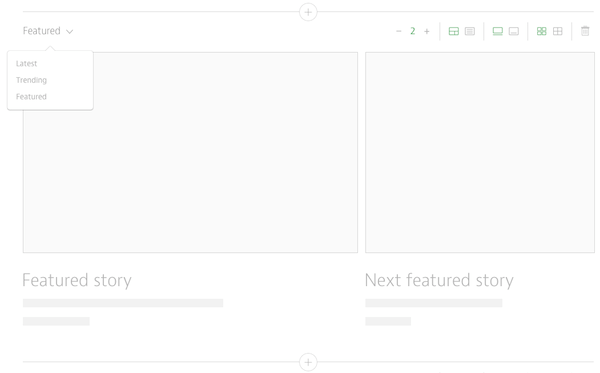 While Medium hasn’t produced an option for all collection curators to mark stories as featured, the empty page illustrates a deadend of the user’s journey. If a user is a collection curator and while editing the collection added a new section called “Featured” it’s not clear at all why it doesn’t appear when editing is finished. Moreover the user can’t understand how to mark stories as featured. This is a deadend. What to improve: Instead of showing “This collection does not have featured posts yet ” to the collection curator, it is better to put a door to let this user move forward. 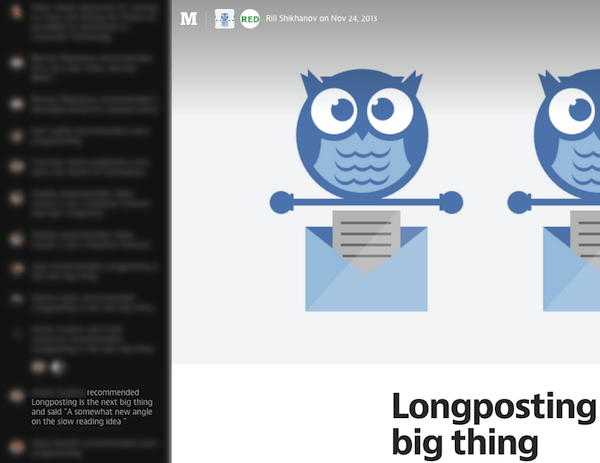 It could be text like “You can’t mark stories as featured right now, but it’s coming soon. Read more.” on the same page or a direct link right near the “Featured” segment when the curator edits the collection. Be your user: Set a user’s starting points and destinations. Draw the navigation and follow it step by step. Do not skip any possible bottlenecks. Know common user scenarios to keep off misleading information: Clarify all of a user’s expectation. Find out points where the user should be led and where it’s better to explain than to leave it for user’s understanding. Keep the user moving to avoid deadends: Always insert a reference or a link leading to the explanation why a user can’t do this right now or that this feature will be available soon (or after a certain condition, i.e. commenting on Dribbble). Every website has a lot of corridors where users navigate. And Doors Diagram is a tool not only to detect any obstacles on their navigation and clear them, but to build and optimize the whole journey. Kirill Shikhanov is a strategic designer and a visual storyteller. He is passionate about solving challenging UX/UI problems. Say hello to him on Twitter, Google+ or Dribbble.